Will 7.1.5 also release close to it? January 17th is the "aimed" release date for the big finish to the first raiding tier of Legion, bringing both Suramar and Gul'dan's stories to a finish in the 10 boss raid. 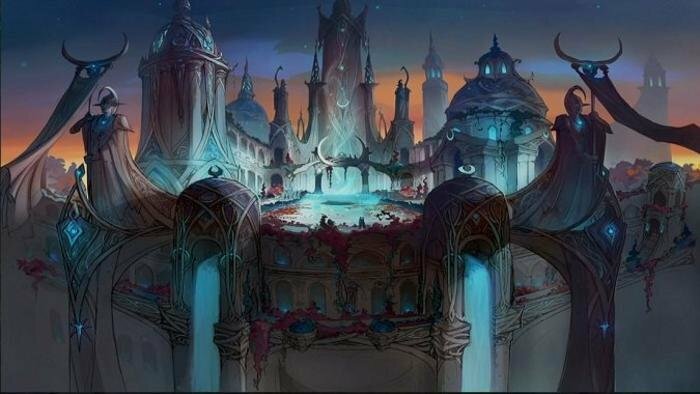 Blizzard have stated that Nighthold and 7.1.5 releases will not be connected, but it seems likely that they'll be pretty close to each other, with my bet being on the patch preceding the raid by a week. Nighthold will also be the first raid of Legion to have tier sets (and you can check out our preview of the here) as well as a increasing base item level throughout the instance. Blizzard also reminded us that Cutting Edge: Xavius and Ahead of the Curve: Xavius will no longer be obtainable when the new raid releases. Blizzard also reminded us that Cutting Edge: Xavius and Ahead of the Curve: Xavius will no longer be obtainable when the new raid releases. Well, we're halfway there so far. Mythic is rather challenging.